A graduate of the Alvin Ailey School of Dance, dancer and jazz singer Lucia Jackson has created her own hybrid of modern dance and jazz vocalizing, a successful combination that melds the forward-looking motion of modern dance with the proud traditions and the endless possibilities of jazz singing into a unique artform—one’s that exciting and unquestionably transcendent. Lucia is currently performing music from her debut album, You and The Night and The Music, which was released in September 2018 with the help of a devoted fanbase who gave $15,000 towards the album’s production through an Indiegogo campaign. On the new album, Jackson is backed by a band that features her father, world-renowned jazz guitarist Ron Jackson, pianist Yago Vazquez, bassist Matt Clohesy and drummer Corey Rawls. Guest artists on the album include, Daniel Garcia (Flamenco Guitar), Frederika Krier,(violin) Javier Sanchez (bandoneon), Samuel Torres (congas, percussion) and Yaacov Mayman (tenor saxophone). Lucia was born and raised in Spain. She studied voice and piano at Madrid’s prestigious Escuela de Música Creativa and attended the Royal Professional Dance Conservatory Mariemma. After finishing high school, Lucia was accepted into The Ailey School of Alvin Ailey American Dance Theater in New York City and began to pursue her dream of combining the arts of dance and jazz singing. 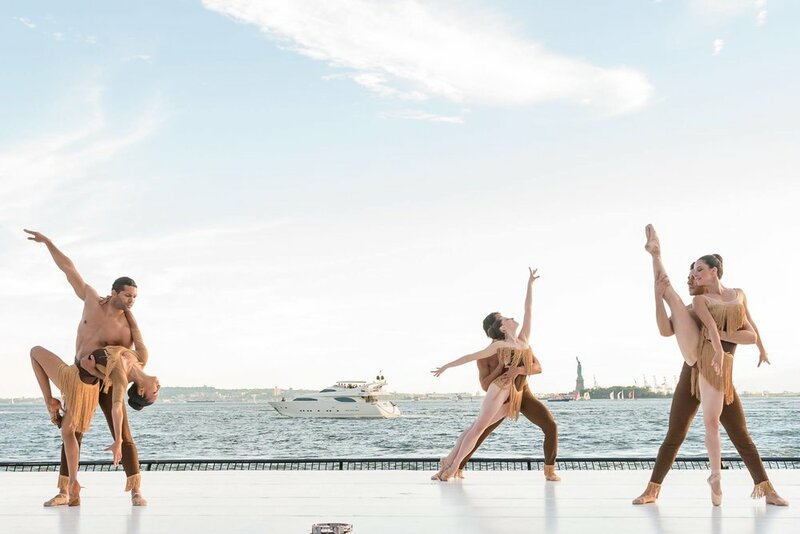 Since completing her dance training, Lucia has had the opportunity to perform Memoria at City Center and Revelations Cast of 50 at Lincoln Center with the Alvin Ailey American Dance Theatre. In 2015 she danced with Dardo Galletto Dance on the inside/out stage at the prestigious Jacobs Pillow Dance Festival. In 2017 Lucia performed at BAM Fisher in the production BLIND by Tango for All. She is a currently a member of FJK Dance company led by Fadi J. Khoury. In 2017 Lucia went on a two-month tour in China with FJK Dance. With the assistance of her father Ron Jackson, Lucia also began to cultivate her jazz singing career in NYC. Lucia has sung with the Bud Maltin Orchestra, Marty Schwartz, Art Lillard Big Band among many others all over New York City and the tri-state area, performing at venues such as Iridium, Zinc Bar, Flatiron Room and ShapeShifter Lab amongst others. Lucia successfully raised $15,000 in production money through a crowdfunding campaign on Indiegogo.com to record her debut album. Her album You and The Night and The Music was released on Roni Music Record Label in September 2018. Shortly after her debut album release Lucia embarked on an extensive album release tour throughout Russia.